Now we’ve taken it a step further. 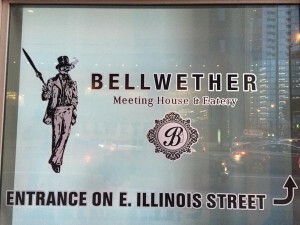 After incubating a series of entrepreneurs-in-residence, today we’re happy to announce a new line of service offerings: Bellwether cafes. We believe that quality coffee, whiskey, food, and cheese matter as much to the success of America’s education ecosystem as teacher preparation programs, qualified leaders, and funding equity. As you can tell by the range of styles and offerings, we’re using a franchise model and allowing local business owners wide freedom to implement the Bellwether brand. But all locations must reflect a commitment to our core values: Tailored Excellence, Synergy, Integrity, Diversity & Inclusion, Flexibility, and No Drama. 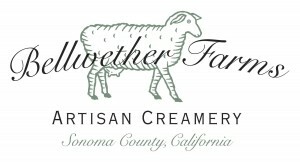 If you need a refresher: We adopted the name “Bellwether” in the contemporary sense of “a person or thing that assumes leadership.” That usage evolved from an older use of bellwether as the name for “a sheep that leads the flock, typically wearing a bell” (isn’t it great that English has words for things like this!). 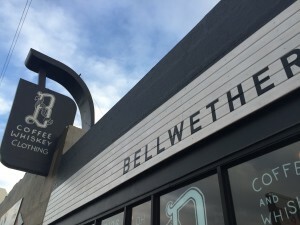 Keep an eye out for Bellwether cafes in a community near you!